For many people, trekking through a jungle to find a family of silverback gorillas or chimpanzees is high on their bucket list. For many people who love adventure and travel, trekking through a jungle to find a family of silverback gorillas or chimpanzees is high on their bucket list, but it is one that few people actually get to achieve. For the lucky ones who do get to experience this firsthand, it is a trip where the memories will last a lifetime. 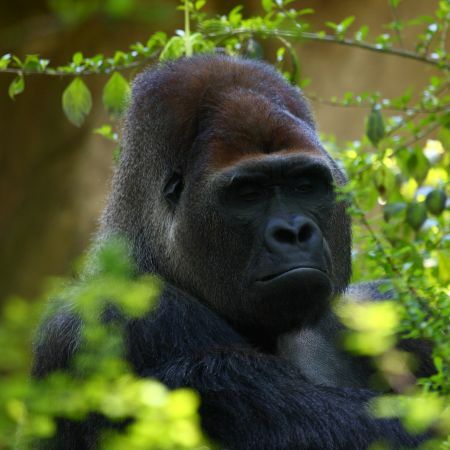 The mountain gorilla is extremely endangered and while exact numbers vary, it is widely assumed that there are only around 650 left in the wild today. Found only in a handful of locations in Africa, the specific regions that Travel Butlers prefer to recommend are the Parc National des Volcans in north-west Rwanda, and Uganda's Bwindi Impenetrable National Park. Visiting the gorillas is a great way to support their future on our planet, as the money spent on permits (US$600 per person per trek in Uganda; US$1,500 per person per trek in Rwanda) is used for their protection. Uganda is home to more than half of the world's population of rare Mountain Gorillas, and the fantastically named Bwindi Impenetrable Forest National Park is the most popular destination here for visitors wanting to track gorillas in the wild. Clouds Gorilla Mountain Lodge is just steps away from the trailhead for tracking the Nkuringo gorilla family (the largest and friendliest of Bwindi’s accessible troops), making it an ideal base for travellers seeking what David Attenborough called one of the most exciting encounters of his life. Other accommodation options include Buhoma Lodge and Sanctuary Gorilla Forest Camp. The Sabyinyo Silverback Lodge is only minutes away from the headquarters of the Parc National des Volcans in Rwanda, from where clients trek on foot (in groups of maximum 8 people only) in the hope of finding one of the 8 families of mountain gorilla living in the rainforests that cover the slopes of the volcanoes that make up this Park. It is also possible to do this trip on a budget if you are prepared to travel in an adventure group of like-minded people. If trekking through rainforests to watch a family of chimpanzees go about their daily life of grooming, wrestling, bickering, foraging, eating, and mothering, then Greystoke Mahale should be high on your holiday hitlist. Situated on Lake Tanganyika in the Mahale Mountains National Park of Tanzania, this camp is about as remote as you can get. There are no roads within 100 km of the camp, and access is only by light aircraft. Upon arrival at the airstrip there is an approximately 90 minute dhow trip down the lake to reach the camp. Guests here can enjoy morning hikes in the stunning tropical forest that covers the slopes of the mountains, which is home to 9 different species of primate, including chimpanzee. 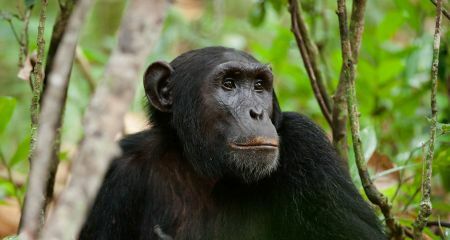 The main chimp group live in the mountains close to the camp, and have become habituated to human presence over 2 decades. Every morning, trackers go out early to find the chimp's whereabouts, then after breakfast you head off in a small group (maximum 12 people only) along the forest paths until you're surrounded by their calls. Whether it is gorillas or chimpanzees you are seeking, the amount of time that you are normally allowed to stay with the animals, once you have found them, is only about an hour - but it will be an hour you will never, ever forget.